The first film that Roger Ross Williams directed was Music by Prudence, which won the 2010 Academy Award® for documentary short subject. He is the first African American director to win an Academy Award. 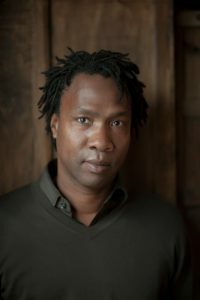 Williams next directed the feature documentary God Loves Uganda, was shortlisted for a 2014 Academy Award. Williams is currently working on several projects including a feature documentary about the prison industrial complex for CNN Films and the BBC, a documentary about the legendary Apollo Theater, and a VR series based on his personal story called Traveling While Black for The New York Times. He is also the chief storyteller for Johnnie Walker whisky. His latest film Life, Animated has received countless accolades including over a dozen awards at film festivals around the world, DGA and PGA nominations, and was most recently nominated for the 2017 Academy Awards. Williams serves on the board of Docubox Kenya, and recently, Williams became the trustee of the Zeitz Museum of Contemporary Art Africa; the first major museum in Africa dedicated to contemporary art. Williams serves on the Alumni advisory board of the Sundance Institute and the Board of Governors for the Academy of Motion Pictures Arts and Sciences.